Your kitchen garbage disposal can cause a lot of problems if it is not used properly. Disposals are meant to handle large amounts of food or other substances and overloading it with this kind of debris can wear out the motor quicker or cause clogs to build up in the drain pipe. If you are looking for garbage disposal repair in West LA or Beverly Hills, call us today (310) 454-2010. All of our plumbers are highly trained to deal with any kind of plumbing issue and we strive for honest and affordable services so our customers have a reliable source for every plumbing complication or project they have. Typically, a repair inside the disposal or cleaning the drain pipe is all that is necessary to get your kitchen sink back in working order. However, if the disposal has recurring problems with clogs or you keep having to reset it, it may be time for an upgrade. As the garbage disposal ages, the motor can wear down and the blades can dull. These will increase the run time necessary to break up the debris in the drain, and can cause build-up in the pipeline. 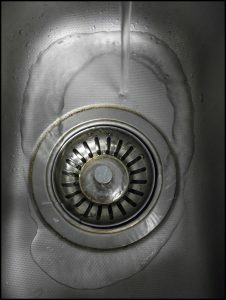 Is your garbage disposal not running as efficiently as it used to? Give us a call and we will have one of our plumbing professionals come out and help determine the best solution to deal with the problem. On some rare occasions, it will be cheaper to replace the garbage disposal than make repairs. This is usually recommended for garbage disposals that need constant repairs to work properly. Our goal here at Sunset West Plumbing & Rooter is to provide the best customer service in the area of West LA and Pacific Palisades, CA. It can be difficult to find a reliable plumber who has your best interests in mind. Our team has the experience necessary to supply honest and long lasting results to keep home plumbing running smoothly. For more information about any of our plumbing services available in the West LA and Bel Air area, contact us by phone (310) 454-2010 or through our online contact form. Updated on June 15, 2016 at 6:17 pm by Sunset West Plumbing & Rooter.